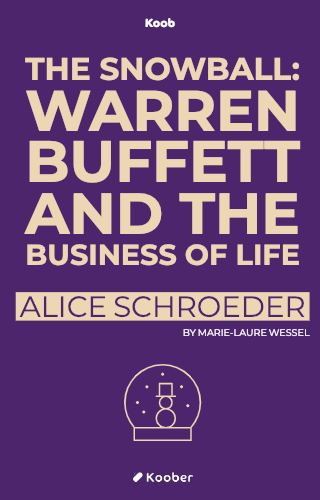 By reading this koob, you’ll learn about Warren Buffett, “The Oracle of Omaha,” an American icon who started out with nothing but who is ranked today as the third wealthiest man. The author recounts his personal life, specifically his complicated relationship with his entourage, as well as his professional life and the guiding principles he applied to accumulate his fortune. - That “The Oracle of Omaha” is often viewed as a conservative when he really is a visionary at heart.